Matthew West is probably one of my favourite artists ever. I’ve written countless posts about his albums and his songs, about how they’re influential in my lives in many, many aspects. I could even sit here and write about his albums and which songs are impacting to me at which times in my life- and I’d still be here tomorrow! But in the interest of time constraint, instead, I’ll point you to a page on this site about all things Matthew West, and you can read any article you want, at your own pace. So…now that you’re all caught up on who Matthew is and what he’s all about, let me say that his latest single “Mercy Is A Song”, which released today along with 2 other versions (acoustic and live versions, with the latter featuring the guest vocals of Jordan Feliz! ), is an immense joy to listen to and to worship to. Originally featured on All In last year, I don’t really need to tell you guys about what the song is about. If you’re reading this, you’re avid fans of Matthew anyway, and you probably know the song inside out. Even if you’re not an fan of Matthew yet, you can read my brother’s thoughts of the track on his All In review last year– of which he went into the track really in depth, and in much greater detail and coherence than I ever could. In fact, what I’m saying about this track could really be a carbon copy of what Jon is saying (so I won’t rehash things because that would be pointless! ); however I will quickly reiterate this before I leave you all to listen to 3 versions of one of my favourite songs of Matthew’s ever- and it is that Matthew is a brilliant songwriter, and singing about mercy in the guise of a gospel infused hymn like melody is pure genius. Lyrically and thematically similar to the parable of the prodigal son in that Matthew highlights the notion of no matter our shame, guilt and the things we’ve done that we perceive as wrong, we can run to Jesus and He will always accept us as we are; “Mercy Is A Song” is a multilayered song, and is a track that we can glean quite a lot of inspiration from for many, many years- and that’s definitely a good thing, as there’s lyrical gold and gems here that need to be mined and pondered over. 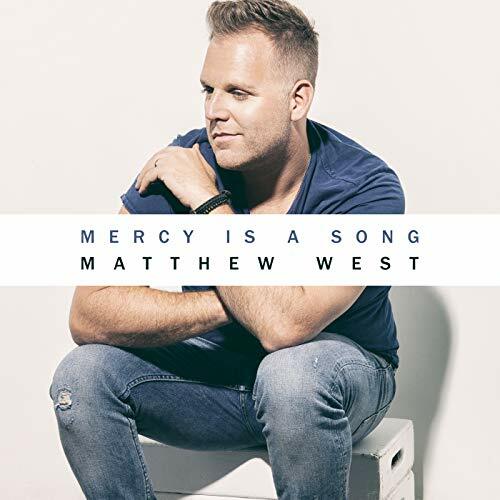 Probably the go-to guy currently in the music industry, if you want a song or album written based on listeners’ stories or based on your own story; Matthew West, in my opinion, has plenty more to go song-writing and album wise. With All In being his most ‘complete’ album to date (and my personal favourite along with Into The Light and The Story Of Your Life); it isn’t known what is next for Matthew West– maybe a covers album or even an album from an entire new genre aka rock or rap! But one thing is for sure- more songs are coming, and even if it is in a genre that is unexpected, Matthew’s that good of a songwriter and a singer to pull off anything! So, until such a date when we can listen to brand-new music, let us dwell upon every song in Matthew West’s career, as well as “Mercy Is A Song”. Currently a shoo-in for WOW Hits 2020 (that may change in 6 months’ time! ), Matthew’s album is destined to stand the test of time and become one of the all time classics! Don’t believe me? Well that’s too bad! We’ll just have to wait and see!